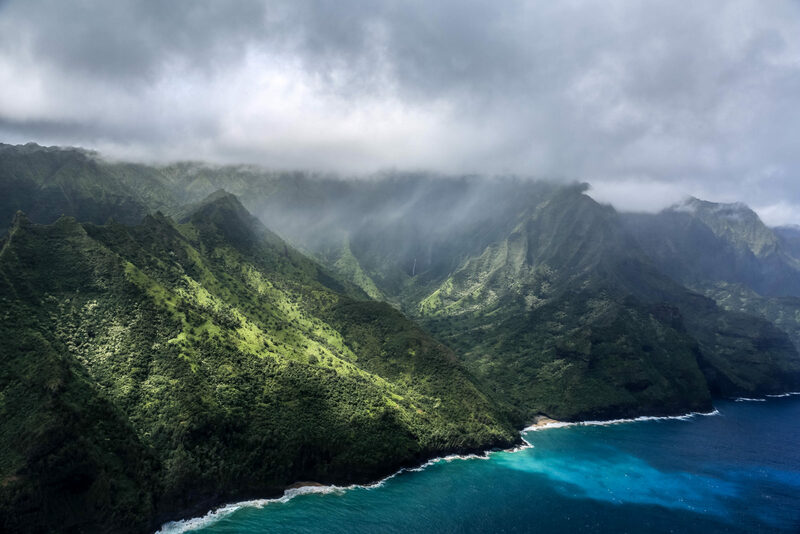 The Na Pali coast is always a priority when I'm lucky enough to visit Kauai. Taking a Helicopter tour of it with the doors removed is the ideal way to experience it. When we flew out high above the ocean to turn around I saw this moment present itself and didn't hesitate.